We can custom design these inflatable tunnels to fit your marketing needs. Check out some of our other inflatable advertising products we offer! 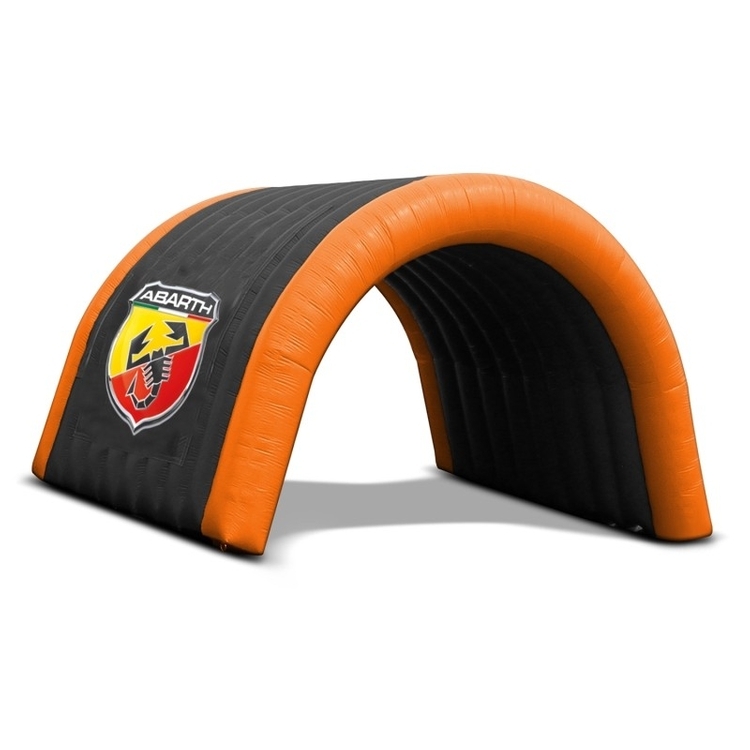 Our company has a wide range of inflatable advertising products like inflatable tunnels or run throughs. Each of these inflatable tunnels is custom designed and manufactured to fit your marketing needs. 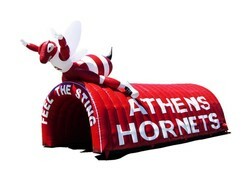 The most common places to use our inflatable tunnels is at sporting events like football games and shows. When it comes to inflatable tunnels, be assured that we will supply you with a high quality eye catching product. Inflatable tunnels are made to create a brand experience like no other as well as bring visibility to crowds and passersby. The second they are inflated, they are guaranteed to have heads turning in awe! The normal construction times for these products are around 3-5 weeks with a rush service available.